Do I need to buy a booster? With analogue television, it has often been necessary to buy an amplifier to improve the quality of the television picture, or to supply a steady on several televisions fed from the same aerial. Many people have asked if it necessary to investing in a signal booster for Freeview. "Analogue television" means is that the sound and pictures are broadcast using signals that are an "analogue" of the input. The sound and picture are transmitted from the source as electrical signals, then as radio waves and then back to sound and picture again. In an analogue television camera, the image is scanned 25 times a second from side to side, from top to bottom and back. Where a lot of light is scanned, a high voltage is produced. Where no light is scanned, no voltage is produced. The output voltage is the same ratio to amount of light at scanned. Leaving aside the technically, this signal is sent to the transmitter. The transmitter emits a radio wave on a known frequency, which is varied by the incoming voltage. A microphone also converts the sound vibrations it picks up into a voltage, which when sent to the transmitter is added to another radio transmission frequency. The signals are received by a television aerial pointing at the transmitter and converted back to very weak electrical signals. The sound is amplified and sent to a loudspeaker, and a picture created on the TV screen. So on an analogue television, if the incoming signal is weak then the picture is dull as the background noise (the snow scene seen when an analogue television is not tuned) makes the picture less watchable. The best analogue television set equipped with a great TV aerial located near to a high powered transmitter will produce brilliant pictures and clear sound. A poor set with an inadequate aerial or substandard cable will not. If a weak signal is fed to a booster device, this will make the picture appear better on the television set or sets. It is often worth the investment. In a digital studio, the voltages from the cameras and microphones are not sent directly to the transmitter. It is converted into a stream of numbers inside a computer. The input voltage relates directly to the number in the computer. By sampling the input at a regular frequency, it is therefore possible to both store and transmit the information digitally this is what computers are good at. It is therefore possible to take these numbers and generate a sound and picture output from them. However, the amount of information generated is over 240Mb/s, 30 times the rate of the fastest broadband connection. Buy using computational techniques on this information the data can be compressed to as low as 2Mb/s, with as little as 6Mb/s being required for a good quality picture. These data compression techniques are called "lossy" because the reconstructed images are not identical to the originals, but look virtually similar to human eyes. 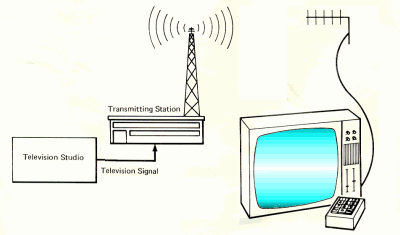 Digital television uses the same transmission frequencies as analogue uses, known as C21 to C68. The digital data is sent using a system called COFDM (Coded Orthogonal Frequency-Division-Multiplexing) which can carry data at a rate of 18Mb/s or 24Mb/s. Several television channels and some radio stations can be multiplexed together to produce exactly this amount of data. At the receiver, it must be able to decode every single bit from these transmission multiplexes. A single error is impossible to correct for, so the decoder must have no errors. Until switchover happens, the Freeview signals are being broadcast at very, very low power levels. However the COFDM system and sensitive digital equipment will, as long as the signal can be found and decoded there will be pixel-perfect reconstruction of the television channel. If the signal is drowned out by interference (especially from analogue transmissions) then no picture or sound will be output. If the TV aerial installation you have provides you with all the Freeview channels, there is nothing to worry about. If you are missing some channels because the signal is just too weak the best place to start is by improving the aerial, see Freeview reception - All about aerials. A bigger, higher, better designed aerial will always be the most sensible way to get perfect reception. If you want to supply a signal to several sets, where the incoming signal is being "split" to serve several Freeview boxes, a masthead amplifier will be effective. This is because the signal is already of good quality and is being repeated for several sets. However, if you are not getting a good signal from your aerial, a booster by the TV set will probably not help as this will simply boost the background interference as much as the Freeview signal. 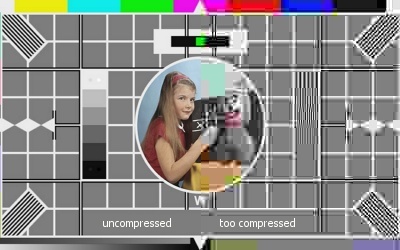 In circumstances where an amplifier that has improved a picture on an analogue, it may be unsuitable for Freeview reception. Sometimes they will block one or more multiplex, where disconnecting the amplifier will restore the channels. A full post code would help us determine what the signal reception conditions are like at your location. The Digital UK Coverage Checker requires that fiull post code as it does not use village/town names as they are not specific enough. If trees are blocking the signal from the ground-based transmitter then the obvious option is to use Freesat instead. That uses a satelite in geostationary orbit and can be received using a conventional dish and Freesat receiver (that equipment is very different from that used for Freeview). Freesat carries most of the channels that are available via Freeview, there is no subscription needed either. Do not be misled into thinking it is anythiong to do with Sky Television and do not have a SkyQ LNB fitted to the dish.